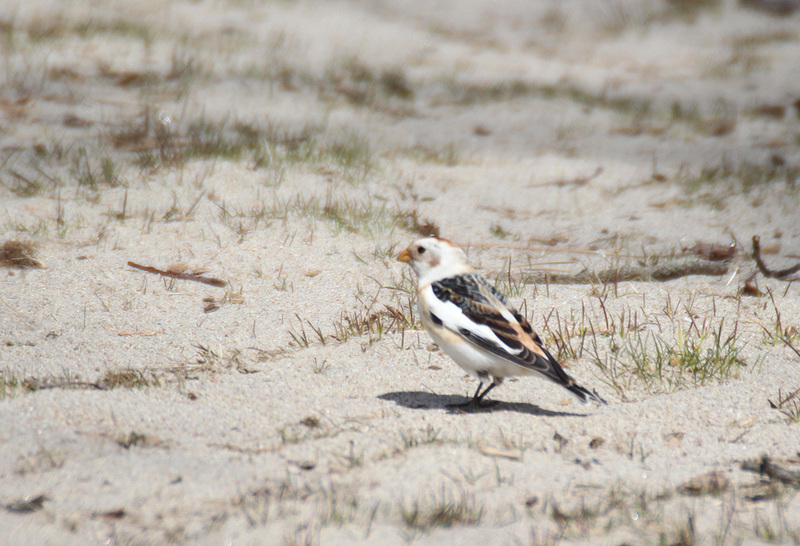 Snow Bunting at Norwalk’s Calf Pasture Beach, March 26, 2013. I had two very different birdwatching experiences on consecutive days recently. Both of them were great, of course, but very, very different. Let’s start with a Wednesday outing. I had some rare time to myself, so I was going somewhere. I didn’t care how cold it was outside, I was getting out of the house. I had read the previous day on the Connecticut Rare Bird Alert Web site that short-eared owls were being seen at Silver Sands State Park in Milford. I’ve never had much luck finding owls, but figured I’d give it a shot. Maybe this was the day my luck would change. Snowy owls are being seen in larger-than-normal numbers this year, too, so my chances were doubled. A song sparrow perches on a branch at Happy Landings in Brookfield, CT, spring 2017. 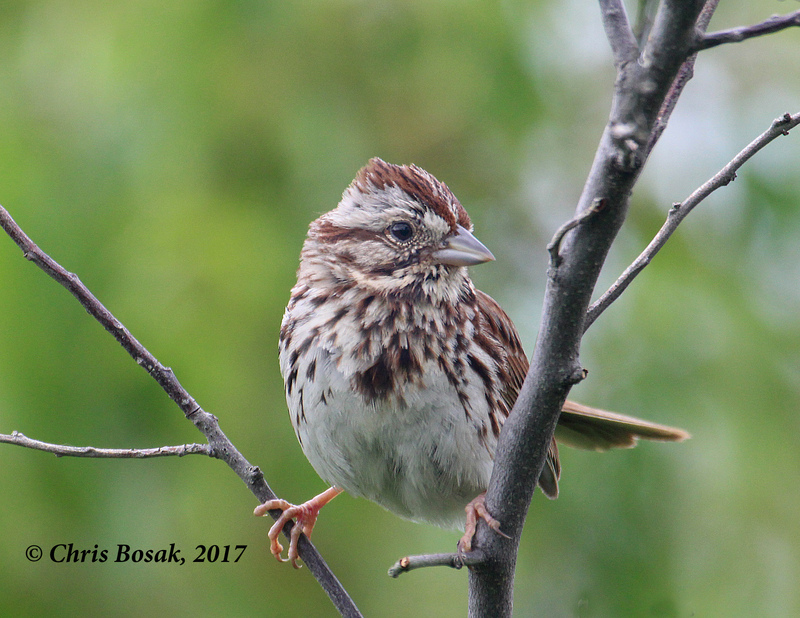 Just like waders (herons and egrets) are good subjects for beginning nature photographers because of their size, abundance and relative approachability, the song sparrow is a good subject for photographers taking that next step into this highly addictive hobby. Obviously they don’t have the size of waders, presenting more of a challenge to the photographer, but they are abundant and typically make their presence known when they are around. 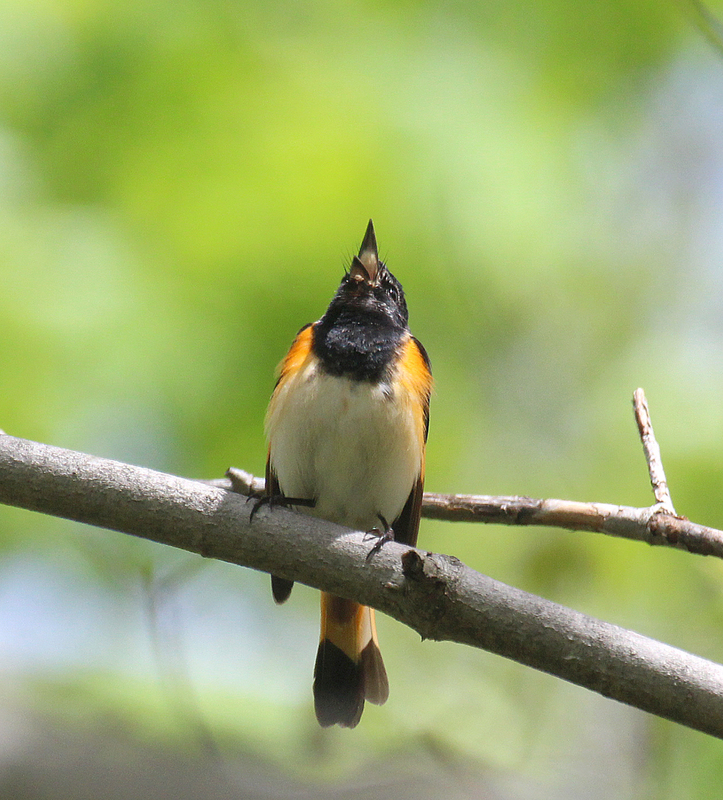 They are quite vocal and curious, often taking a perch near you when you walk through their habitat, which is typically shrubby areas near woods. They aren’t the most colorful birds out there, but they are handsomely decorated with a variety muted tones. 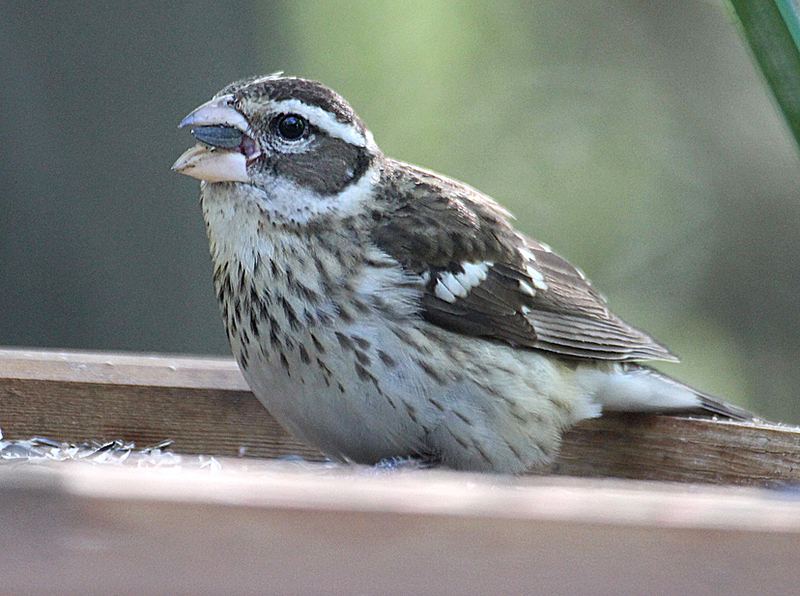 A female rose-breasted grosbeak eat seeds at a platform feeder at Merganser Lake in Danbury, Conn., in spring 2017. 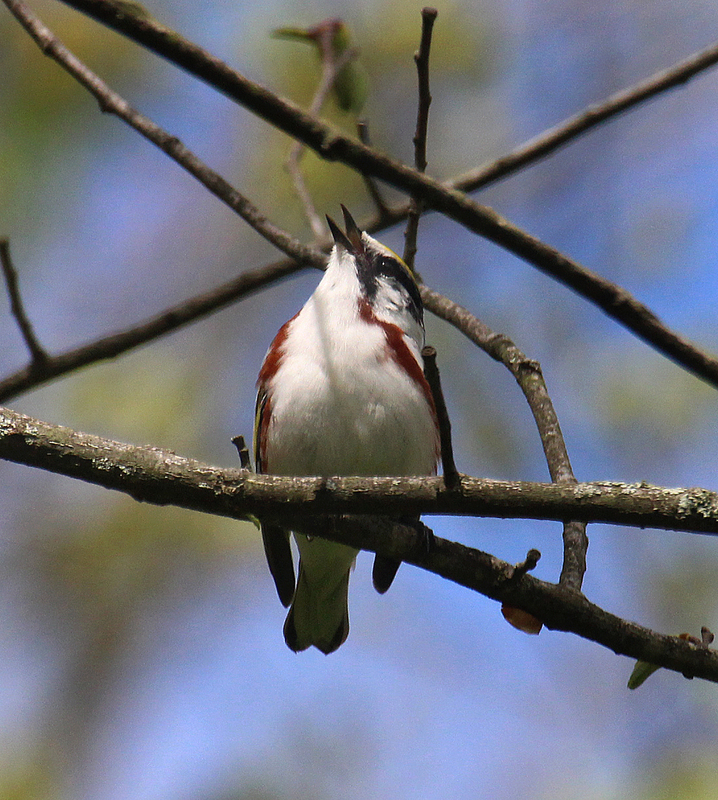 I didn’t see my first one until May 17, but since then I’ve seen a good number of rose-breasted grosbeaks — always a welcomed sighting in the spring. 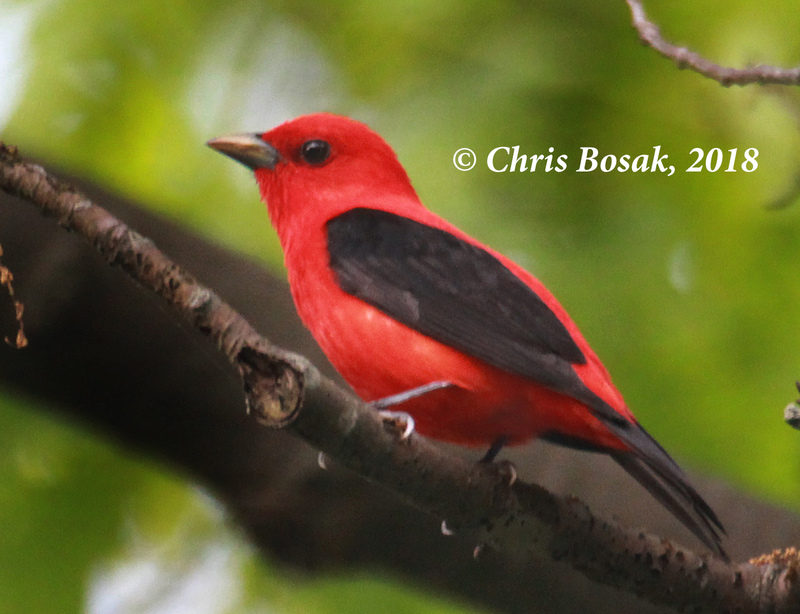 The male is the flashy bird with black-and-white plumage and signature upside-down bright red triangle on his chest. 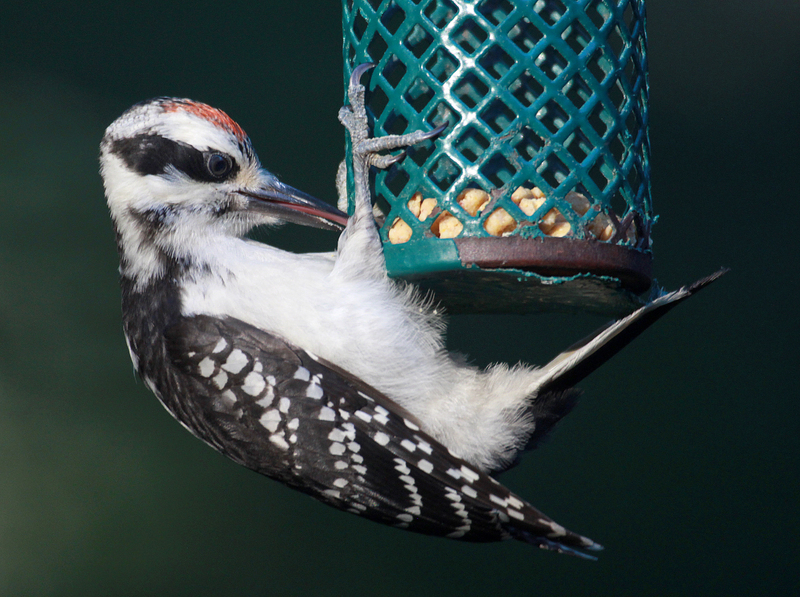 The female is more muted in color, but still a handsome bird to see at the feeder. They both have large bills (they aren’t called grosbeaks for nothing) and easily crack the sunflower seeds offered at feeders. I’ve also seen them at suet feeders, so those of us who feed birds into the summer (or year-round) can attract them with a variety of foods. Many people stop feeding birds in the spring. I don’t blame those who have bears to worry about, but those who stop feeding birds once the winter ends miss out on birds such as rose-breasted grosbeaks. Above is a shot of the female at the feeder. Check out the sizable bill on her. Below is the male and female. Not a great shot, I know, but interesting to see them together. Another female was at the feeder seconds before this shot, but the female shown chased her away. A male and female rose-breasted grosbeak eat seeds at a platform feeder at Merganser Lake in Danbury, Conn., in spring 2017.